Do you live in the Canary Islands, do you come for long stays or have you ever visited the “Fortunate Isles”? Are you a person that feels it is important to look your very best and is thinking about the aesthetic treatments which could be the most suitable to achieve the look you desire? Aesthetic medicine has been revolutionised over the past few years and nowadays it is possible to find treatment to suit everyone’s pocket. The range of aesthetic treatment is extensive and there are a number of medical and surgical specialists that can successfully carry them out. 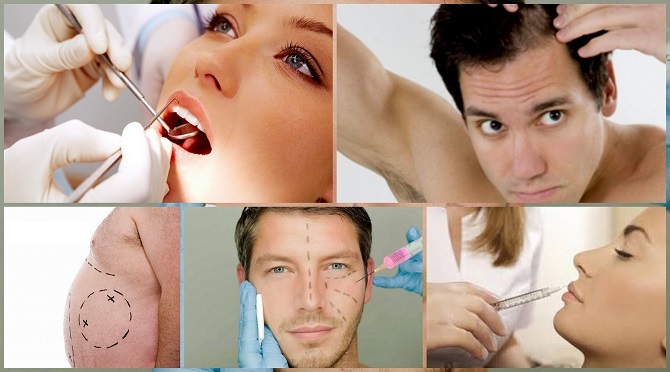 For example, you can now find dermatologists who are specialised in aesthetic dermatology, dentists that carry out impressive dental aesthetics, ophthalmologists specialised in eye aesthetics, gynaecologists specialised in aesthetic gynecology, along with doctors specialised in aesthetic medicine in general and the traditional plastic surgeons for more complicated procedures. In the Canary Islands, particularly on Gran Canaria and Tenerife, we have a number of exceptional clinics and experts specialised in quality aesthetic treatments at reasonable prices: from teeth whitening, botox or hyaluronic acid infiltrations, chemical peeling, microdermabrasion, laser treatment, treatments for cellulitis and varicose veins, cosmetic dermatology procedures, or even hair transplants, out-patient surgery such as blepharoplasty (eyelid surgery) and other more complex plastic surgery. A long stay in the Canary Islands or simply a short holiday could be the ideal moment to ask for more information or get that aesthetic procedure that you have in mind carried out. An opportunity to become the new you!